Since the 90’s Spooky has been making the highest quality aluminum bikes, by hand, right here in the USA. With mountain bikes, cyclocross bikes, road bikes and gravel bikes, we have always pursued quality over quantity and build frames that are simply sophisticated. All Bikes are made one by one by hand, working closely with you along the way to make this your dream bike. The Gas Mask is equally at home in an endurance gravel race, rugged single track, and the local group road ride. The Gas Mask is built for all road, every road, any road. 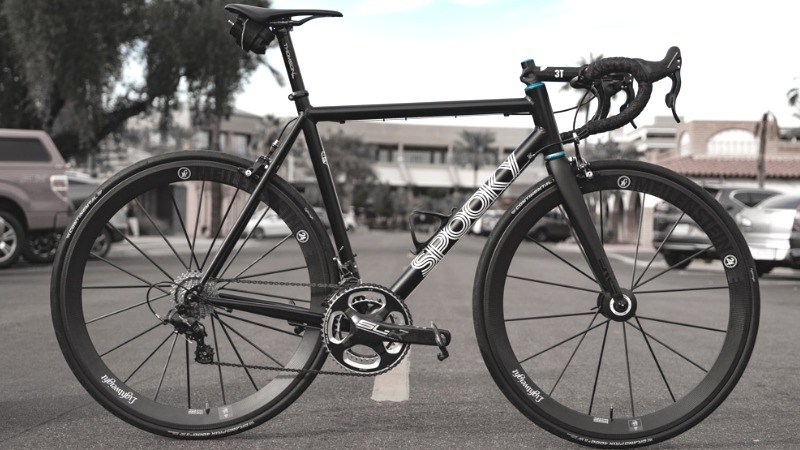 The Mulholland is masterfully built with custom aluminum tubing and clearance for 28mm tires. The mulholland hits the trifecta of speed, beauty, and comfort. Thank you, and stay tuned for more!